Staff were super friendly! Steven and Cal were very helpful with showing me all the coolest spots in Split. I would definitely stay here again. The location is great, the hostel has a nice chill vibe, the staff is super friendly and helpful. The price is also very good. There's free tea and coffee always available. One of the best hostels I've seen! This was honestly one of the best hostels that i've stayed in. Very cosy atmosphere - feels like your own apartment in Split. Plus, it's incredibly spacious. I've never felt like I had my own closet in a hostel before. Would definitely recommend! Amazing group of staff! Location, price, and cleanliness is just a bonus. Thanks again Tchaikovsky hostel, you were great. Quaint hostel in a great location. 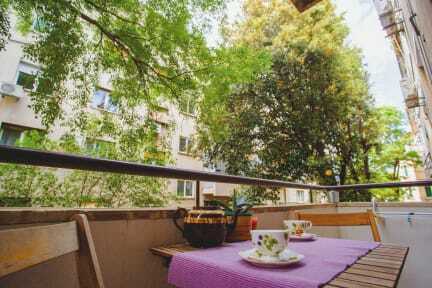 A short walk away from the bus stop, and just outside of Old Town, you are within minutes of all the attractions you will want to see, but just outside all of the hustle-bustle of the main touristy areas. Staff is very friendly and helpful. We arrived past normal check in hours, and the staff was very accommodating. They also went out of their way to help us research different day trips and guided tours as well as independent transportation options. The start was a bit rocky because I arrived in the dark and the hostel was difficult to locate until I was finally shown to it, by a local. However, a definite shoutout to Brandon and staff for being so helpful and accommodating to me. Brandon, I so greatly appreciated everything you did for me the last evening by arranging it, so I could stay another night! Kudos to you and your awesome people skills! Loved sitting in the kitchen and chatting with all of you and other guests. Wonderful finish! The staff were really helpful and friendly. The hostel had a relaxed atmosphere. Good sized security lockers, easy access to the building, a good central location. Each bed had privacy curtains and charging ports. The place is small but works really well for a few nights. There was only one shower available to use which meant I was often waiting. The curtain was unpleasant and bathroom often flooded. Given the toilet and shower is located right next to the kitchen, you have no privacy. 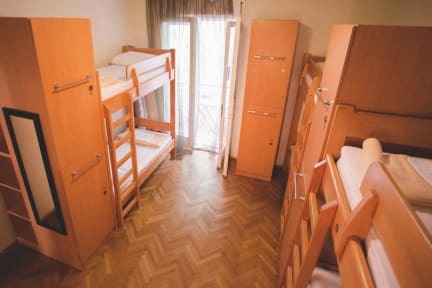 Staff were staying in the dorm and to get to the smaller dorm you have to go through the big one first which I found disruptive for everyone in both dorms. Location was fantastic and it was easy to find. Overall, wouldn’t stay again.